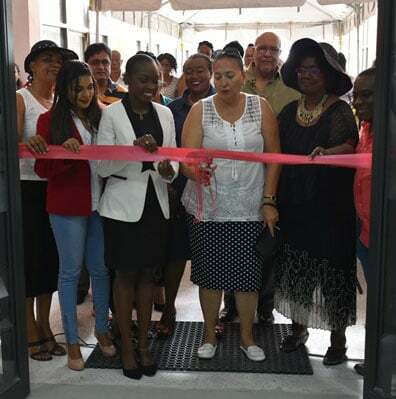 The Guyana Water Incorporated (GWI) yesterday commissioned its second sub-office in Region Three (Essequibo Islands-West Demerara.) at Parika at the Lotus Mall. The Department of Public Information (DPI) said that during the launch, GWI’s Managing Director Dr. Richard Van West-Charles said the new branch office will cater to 30,000 customers from West Bank Demerara (WBD), West Coast Demerara (WCD), Bartica and other areas. 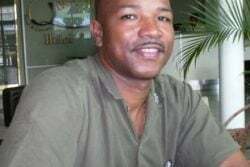 “This opens a gateway to Region Two, Leguan, Wakenaam, to Bartica, which allows us to be in constant communication, where we are looking at various options whereby customers can pay their bills, check their bills and their balance and report to us,” Dr. Van West-Charles stated, according to DPI. The Managing Director noted that this initiative will also assist in the company recouping outstanding revenues much needed to improve the services provided to its Region Three and other customers. 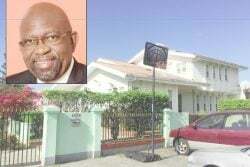 Dr. Van West-Charles assured that GWI will work assiduously to respond to concerns customers may have regarding the proper functioning of meters and leakages. He also called on residents to report any instances of vandalism. 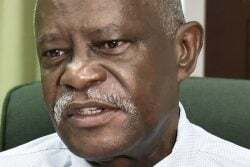 The utility company is also in talks with the Guyana Telegraph and Telephone Company (GTT) to make its Mobile Money application available to Parika residents to pay their bills online, DPI added. There are also plans to open another branch office in Mahdia, Region Eight (Potaro-Siparuni), later this year. Deputy Regional Executive Officer (DREO) Jennifer Ferreira-Dougall, noted that the establishment of the branch office is a timely one since residents were forced to travel to Pouderoyen, WBD in order to pay their monthly water bills. “This initiative by GWI is fantastic for persons in Parika, in terms of not travelling to Pouderoyen, to pay their bills; this will help them to pay their bills on time. Hence, no one will be sent to cut their connection. This government is helping to bring great service to this region,” the DREO said.